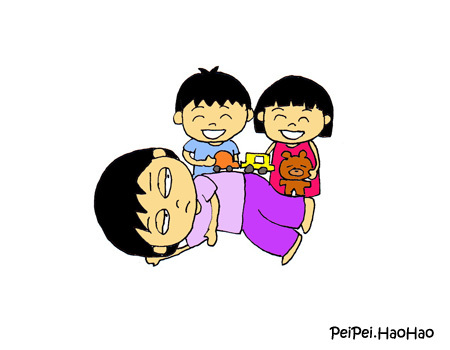 When Pei Pei and Hao Hao were babies, we were grateful that our parents helped to look after them. When they turned two years old, we sent them to childcare centre, as we did not want to trouble our parents. Our typical working day starts at 6 am. We send our children to childcare centre at 7 am and fetch them home after work at 6+ pm. Their bed time is 8 pm, so we only have about 2 hours with them on a working day. While the quantity of time spent together is short, we focus on the quality of time spent together. Here are some ways how I spend time with my children after work, depending on my "Tiredness Level". 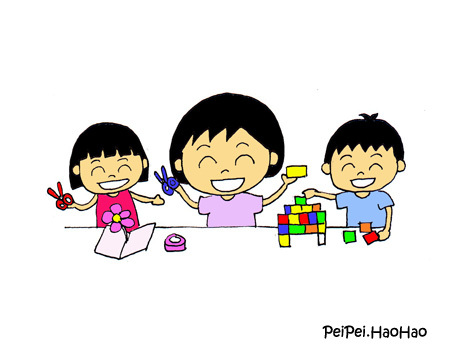 We do a quick craft activity, build a castle with building blocks or even conduct a simple science experiment. We sit down and read (tons of books) together. I sit down to watch them play. I would be part of their play, e.g. being their customer of their "Lego Rice Stall". I would lie on the floor to watch them play. I would still be part of their play, e.g. being the train track / road for cars and teddy bears. I don't have that kind of curvy figure for their cars and teddy bears to go on a roller coaster ride. I think I can be a good runway (except my tummy) for toy planes. Or we would do pretend play - they are the doctors, while I am the patient! I am definitely not a supermum. Only with the support from DaDi that I am able to cope with my work and family. Though he is also tired after a long day of work, he does a lot of housework (to the extent that I feel so guilty) and takes good care of the children. Thank you sooooooo much DaDi! You ask me, how about our dinner? If I can leave office early, I would cook (this happens once in a blue moon), else I would buy for the family. Oh, you also ask, how about housework? While we wash and fold our clothes every day (yes, every day), we do the cleaning on weekends. Then how about adult times? Yes, I know you are referring to blogging, reading (other than children's books) and watching news on TV / reading newspaper. That would happen after the children go to sleep, and if I have not k.o. with the children! To mummies who are working, share with us your after work hours! 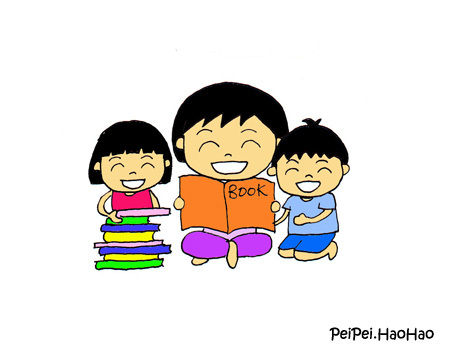 This is a blog train hosted by Kids R Simple on “A Peek into the After Work Hours of a FTWM". Read about how the other 20 FTWMs handle their kids and household everyday! The next mummy in the series is Cherie from Cherieladie. 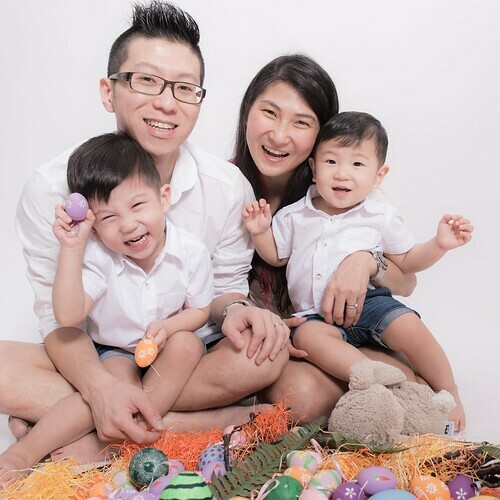 Cherie is a full-time working mother & a supermom wannabe who juggles motherhood alongside with her 3 boys (husband included). She believes in looking good and fashionable, in living life to the fullest and is a strong believer that life is all about being happy. She takes charge from cooking in the kitchen, to the underwear her kid wears, is the kids' official playmate, the designated toilet cleaning IC as well as every other role in between. Read about her adventures in keeping the household intact and everyone alive while being in full-time employment and no live-in help, and maybe, you'll learn a survival tip or two! Hahaha I was laughing at the tiredness level KO part. I can totally relate!! The fact that you still bother to be their road it's very good already. Madeline, I don't think I have opt-out option for their choice of road! I love your pictures! So cute and self explanatory! I love how you spend time doing different activities with them depending on tiredness level. No matter how tired, we will still play with our kids. That's how dedicated we are, aren't we? Yes Christy, even though we are tired, we will spend time with them since we are not with them when we work. I loved your post and the pictures. It really made me smile. I can relate too as I went back to work when my eldest was 13 months and youngest 4 months. Hectic times but it had to be done and I appreciated being a WAHM all the more when I was able to do that. Thank you Ana! Your children have such close age gap! Mine are 14 months apart! I had to laugh at the drool coming out of your mouth in the last photo! Haha, it was really that tired. Thank you Evelyn! I must really thank my husband for taking over when I K.O.! Very well explained! I love your drawings!